Superovulation is one of the most important steps in an IVF cycle. In order that you be superovulated properly, we first have to downregulate you. Take a look at why this has to be done and how it is done. Superovulation – This helps you grow more eggs and it’s the core of modern day IVF treatment. However, when you are superovulated, we also downregulate you. Most patients find this entire concept very confusing- they wonder how ovaries can be switched on and off simultaneously. Doesn’t switching off the ovaries actually reduce the number of eggs you grow? There is a simple way to understand and remember this- downregulation doesn’t act on your ovaries, it acts on your pituitary. We first switch-off your pituitary as this helps us switch on your ovaries much more efficiently. This allows us to ensure that you grow a synchronous cohort of follicles, and we are able to retrieve a larger number of good quality eggs at the time they are required. They have to be mature, but it also has to be just before you ovulate spontaneously. Another simple way to remember this concept is to keep in mind that in order to write on a blackboard- it will first have to be wiped well first. The objective is to stop your pituitary from producing the hormones that it normally produces. This helps us make your ovaries grow a larger number of mature eggs that can then be collected at the right time. This helps in a better ovarian response and gives us the time to collect eggs at a convenient time. If downregulation wasn’t used in IVF, your follicles might just grow at different rates in response to superovulation and it would be very difficult to collect the mature eggs. What’s even more important is that downregulation prevents you from ovulating on your own. 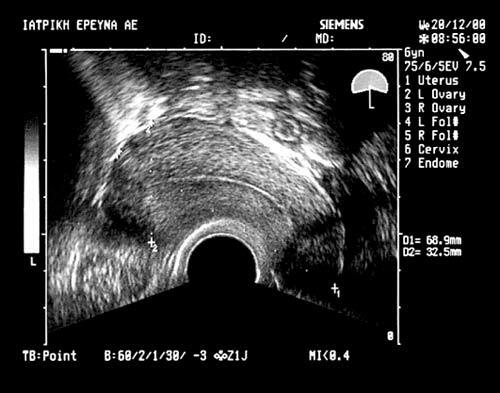 If you ovulated spontaneously before we are ready to collect the eggs, we wouldn’t be able to collect your eggs, as they would be lost in the abdominal cavity (in case your follicles ruptured before egg retrieval). This would be a nightmare, and thankfully it’s not something that will happen in a good IVF clinic today. This is because downregulation is very effective. We are able to time egg collection in a very precise manner- 34-36 hours after the HCG trigger, and you can then rest easy knowing that your follicles would never rupture before this time, as you’ve been downregulated. Downregulation prevents the pituitary gland from releasing FSH and LH during treatment and so prevents premature ovulation. This gives the doctor much more control over the superovulation phase.